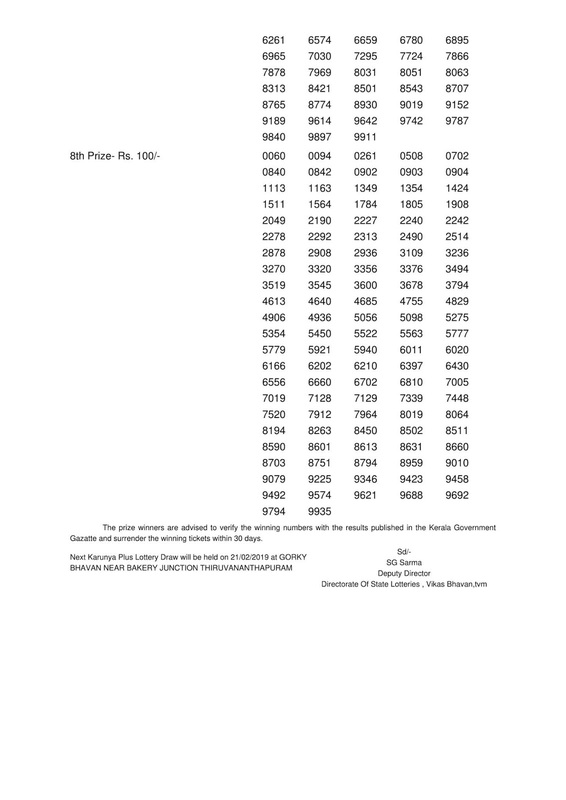 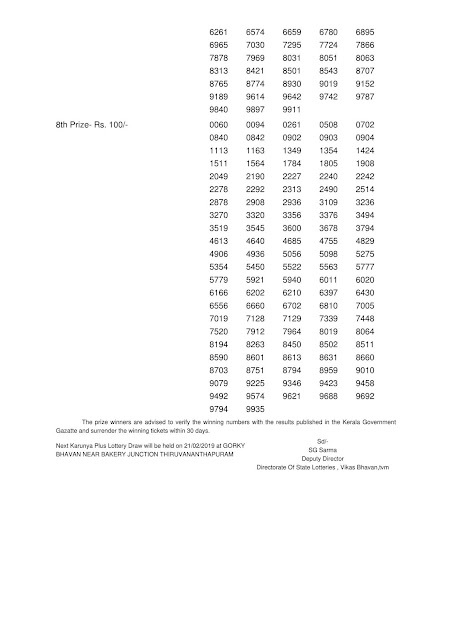 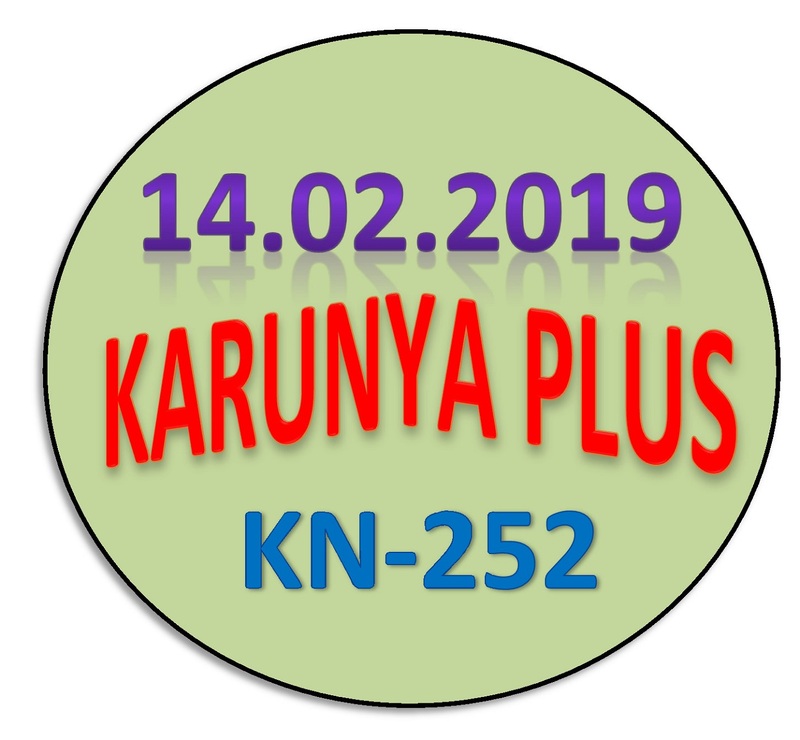 Kerala lottery result of Karunya Plus (KN-252) on 14.02.2019 is published below. Live Kerala lottery results from 3:00 PM and the complete official Kerala lottery result between 4:00 PM. 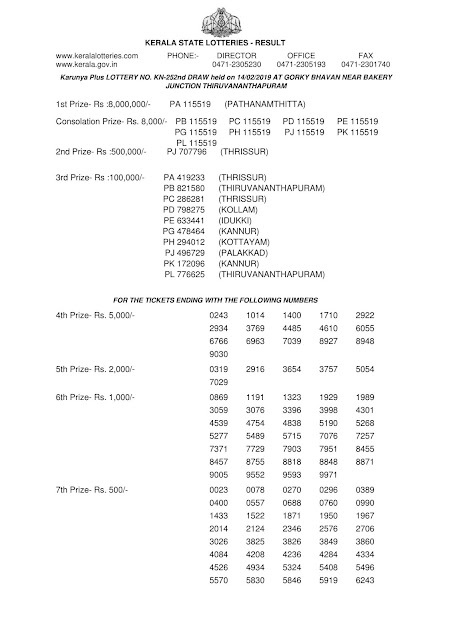 Tomorrow on 15-02-2019 Kerala lottery "NIRMAL (NR-108)" draw at 3:00 PM and the live Kerala lottery results will be released from 3:03 PM and official kerala lottery result between 3:45 and 4:30 PM. KARUNYA PLUS (KN-253) lottery next draw will be held on 21/02/2019 Thursday at 3:00 PM.